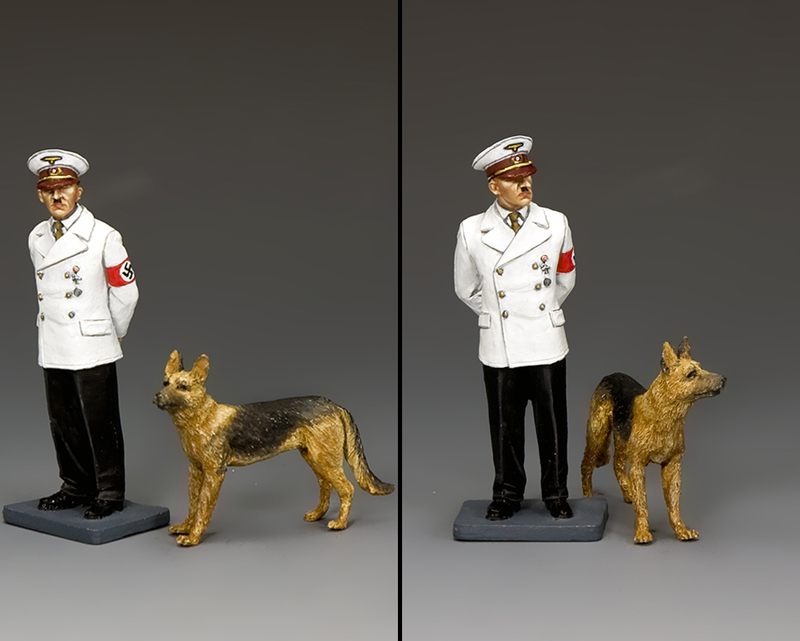 Again, as many ‘BERLIN’38’ collectors know we have done many ‘Fuhrer Figures’ over the years but only one showing Hitler with his favourite German Shepherd dog ‘Blondi’. As that set has long since been retired we decided, due to collector demand, to design and produce a brand-new one... and something a little different, but first some additional back-ground. 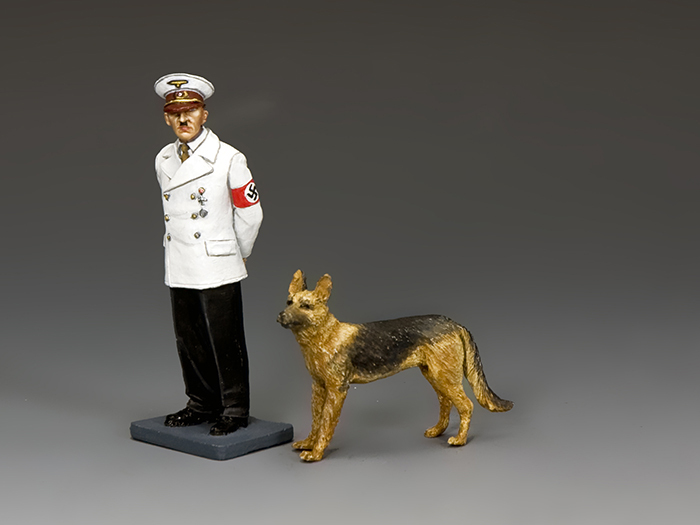 ‘Blondi’ (1941-1945) was given to Hitler as a pup by the head of the Reich Chancellery, Martin Bormann. As evidenced in many photographs Hitler was very fond of the animal and it accompanied him even to the Fuhrerbunker in Berlin in early 1945. During that time she had a litter of five puppies. As the end of his Third Reich grew ever closer Hitler determined not to be taken alive and was given a cyanide pill. To ensure that it would work another such pill was ‘tested’ on the unfortunate ‘Blondi’ with fatal results. In the end of course Hitler shot himself! Here, however we see him in a more pleasant time during the summer of 1942 wearing a white ‘Summer’ version of his regular uniform. By the Fuhrer’s side stands a seemingly happy ‘Blondi’.